Veteran organized crime journalist and author George Anastasia offers a piece on Elie Honig, the Director of the New Jersey Division of Criminal Justice for Jersey Man Magazine. Elie Honig says it’s not that complicated. The mob goes where the money is. “As long as there’s money to be had, that’s where you’ll find them,” said the young, energetic former federal prosecutor who now heads the New Jersey Division of Criminal Justice. Honig (seen in the above photo) is in a position to know. He made his bones prosecuting mobsters for the U.S. Attorney’s Office in the Southern District of New York, winning cases in which dozens of gangsters were convicted, including high-profile targets like Gambino crime family capo Danny Marino and Genovese family leader Ciro Perrone. Four years ago Honig, who grew up in Cherry Hill, NJ and graduated from Rutgers University before heading off to Harvard Law School, traveled down the turnpike from Manhattan to take the post of Deputy Director of the New Jersey Attorney General’s Division of Criminal Justice. In February 2013 he was sworn in as Director. 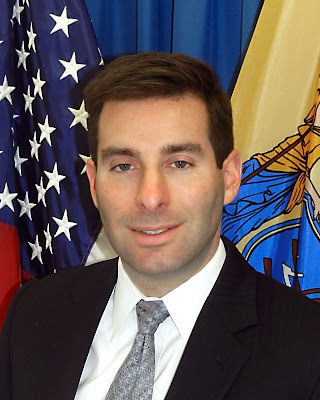 His office, with a staff of more than 500, is responsible for developing cases against drug cartels, corrupt politicians, street gangs, white collar criminals and, of course, wiseguys, of which New Jersey has more than its share. It’s the only state in America in which seven different Cosa Nostra families have deeply rooted operations. And while violence is down in that particular underworld, the business of crime is still going strong. “They’ve cut down on the murders,” Honig said. That, he quickly added, is not a moral issue but rather a business decision.